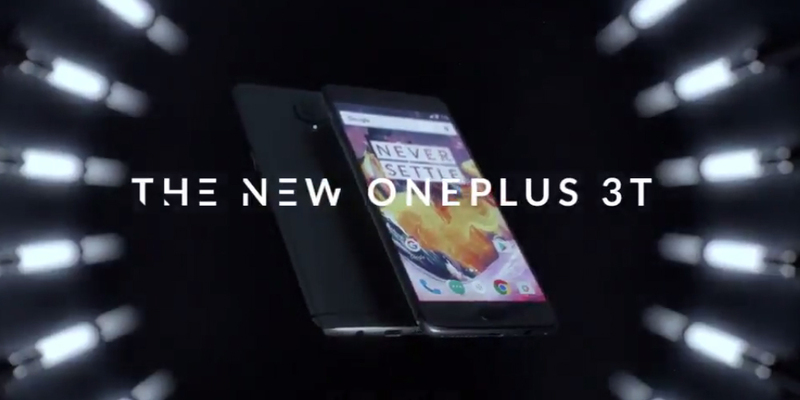 The highly anticipated OnePlus 3T has been announced by the Chinese company, as expected, on November 15, and despite rumors in recent weeks, is not a real revolution compared to the OnePlus 3, but rather a revised version to improve some specs of the previous model. Let's see how this OnePlus 3T is, whose sale in USA has a recommended price of $ 470. This is equivalent to $ 40 more than its predecessor, which is still on sale while supplies last, but it is also true that behind the new OnePlus 3T we find more exclusive hardware, built by successful brands such as LG and Samsung. All at a much lower price if we take as a reference its direct competitors, especially the price charged by many online stores. The new OnePlus 3T adopts the same design and materials of the standard model, but slightly improves the processor and integrated battery. Instead of the SoC Snapdragon 820 built into the OnePlus 3, OnePlus 3T has a Snapdragon 821 at 2.35 GHz with 6 GB of RAM and 64 or 128 GB of internal storage expandable by microSD. The battery changes from 3,000 to 3,400 mAh, with a battery life that, according to the company, should increase by 10-15%, while the rear camera is maintained in 16 megapixels with optical stabilization, but it must present different optimizations according to the company. The protective lens glass is sapphire, while the front camera is also 16 megapixels. This sensor is a Samsung 3P8SP with f/2.0 aperture and OnePlus talked about a technology to reduce background noise in low light conditions (but we will not know it until release date). The rest of the hardware, as we say, does not show apparent changes: the screen is once again the excellent 5.5-inch AMOLED with Full HD resolution (1920 x 1080 pixels), while the metal case does not bring a new aesthetic. The OnePlus 3T will be sold natively with Android 6.0 Marshmallow, and not with Android 7.0 Nougat (whose official version has been available for several months), but with the usual patented customization -OxygenOS- that does not differ much from the pure Android version. This new smartphone will be available from November 22 in the US. and since November 28 in Europe in Gunmetal and Soft Gold colors (the latter a bit later than the first). Although the experience on board from the operating system is rather austere and unadorned, the OnePlus 3T is a candidate to be one of the best cell phones on the market, flanked by the new Google Pixel and LeEco LePro3 in terms of hardware components. In fact, those who already have a last generation device, or the OnePlus 3 itself, will not have many reasons to justify the transition to the new model. However, this circumstance does not seem to stop the trust of Pete Lau's brand, which in less than six months since the release of OnePlus 3 proposes an improved version in many respects (and the same in others).